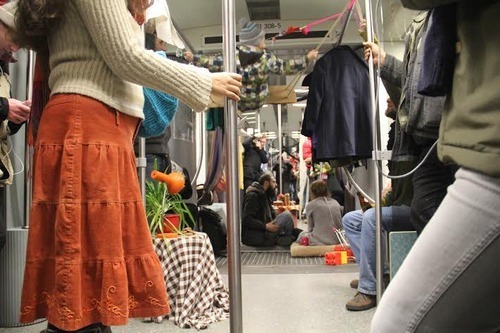 Berlin calling: Participants for "crash course on Creative Activism"
Kulturlabor Trial&Error invites students, social workers, educators and curious citizens to join our 3 day workshop on creative activism methods! The course offers an insights into the scene and its theoretical background as well as practical exercise. It's also meant to give you the opportunity to exchange and connect with other creative people. Creative Activism is a tool to promote active citizenship, strengthen community networks, encourage social groups to formulate and channel their opinion in public. The workshop is based on the theoretical background of "Masta handbook" (mastazine.net/handbook), enriched with an overview of spectacular actions as well as facilitated sharing of group experiences. During the workshop the variety of usage as well as practical methods of creative activism will be presented, participants will have practical parts/units combined with reflective discussions and theoretical input, as well a guest speaker is invited to share her experience. The workshops will take place between 18:00-21:30, our project space will be open for arrival from 17:30, so you can appear in good time if you whish! Due to limited amount of participants, this course requires registration. Registration closes on February 16 th. There is a participation fee of 25 EUR - which covers extra material and organisational costs as well as 3 vegetarian meals. Possibility for solidarity fee is available, describe your motivation in the application. If you are interested in participating , please contact us per email - headquarters@mastazine.net, mention in the subject "3 days workshop". Briefly explain your level of expertise in creative activism, and motivation to join the course, as well as your name, organisation you represent (if applicable) and current occupation.